It's Thursday already! How's your week been? A good one I hope! So, it's time for me to share a Just Inklined card with you! This time, I've made a little sympathy card. I always find them a challenge to make. Christenings, Confimations, Wedding Blessings etc. & inked with Milled Lavender Distress Ink. 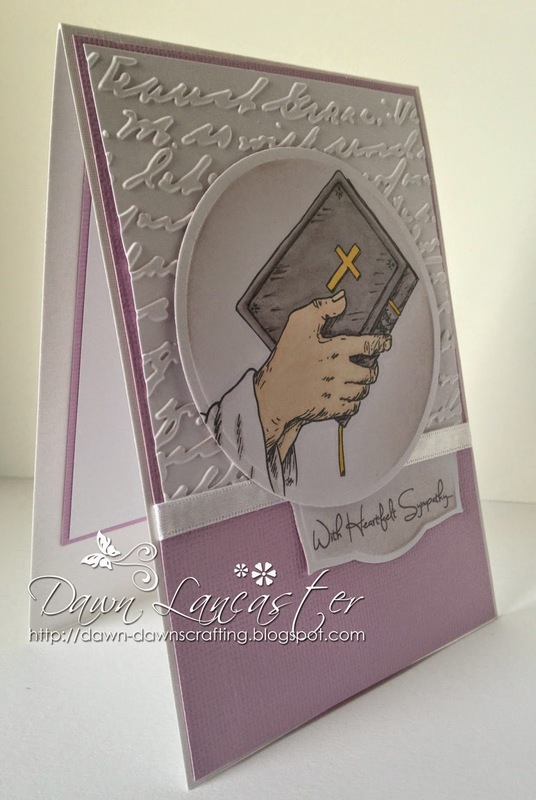 I've used a Cuttlebug Script embossing folder for the white mat. show up at all in the photos! I also added a little piece of satin ribbon from my stash. 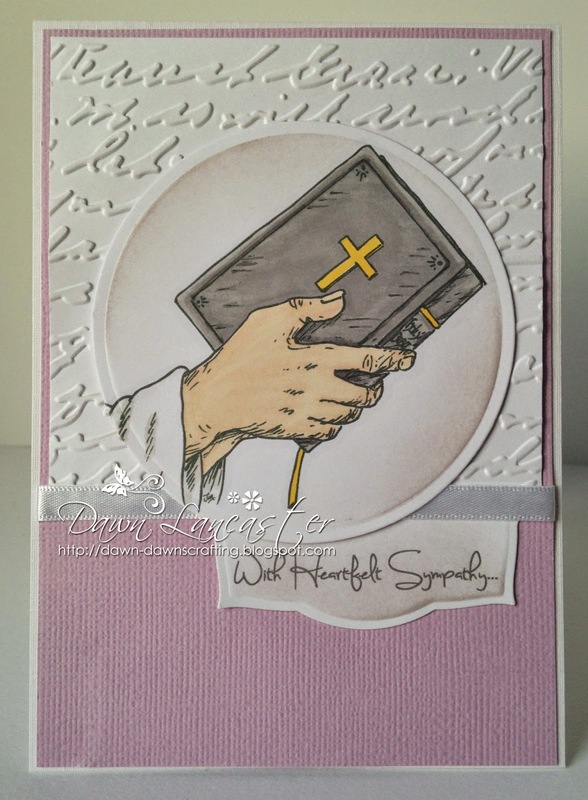 This is such a beautiful sympathy card and I love the soft colors you chose to color the image with. You're right, it would be great for any religious themed card. 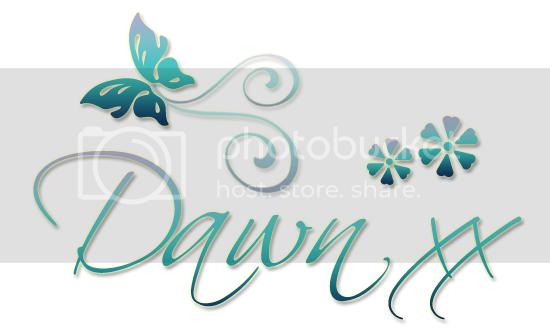 This is an elegant card Dawn, the perfect image for a sympathy card. Hi Dawn. Love this card, a sympathy card is always always difficult to make but this is just perfect and as you say, it can be used for other occasions too. Thanks for visiting my blog, appreciate it. Thanks for asking me to join the Crafting Cafe challenge, I have never entered any challenges and am not sure what it entails. Beautifully done, Dawn! 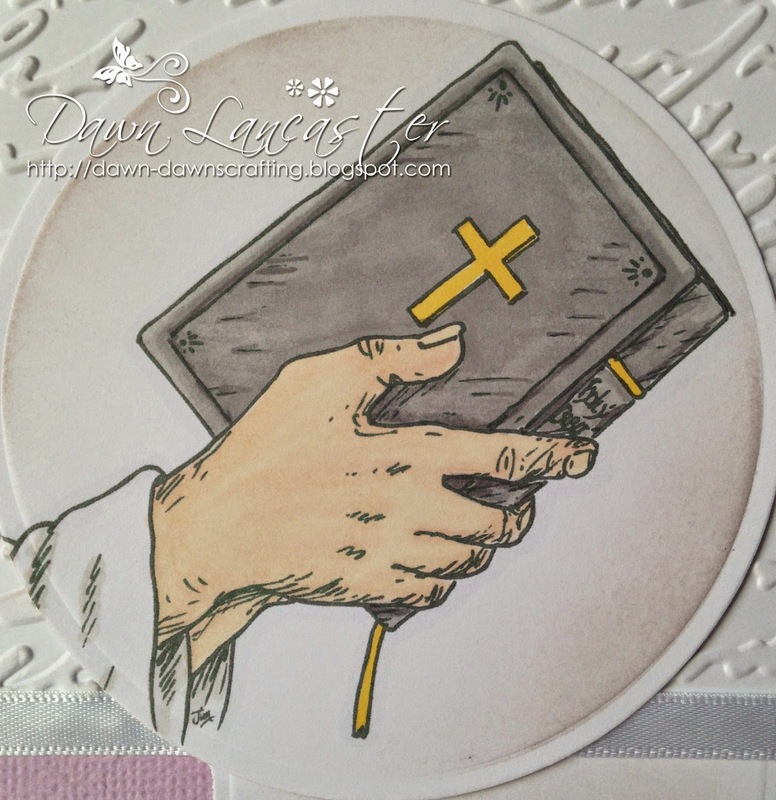 I love the script embossing folder -- it's perfect for this lovely CAS design. Not sure how or when I missed this but its beautiful!